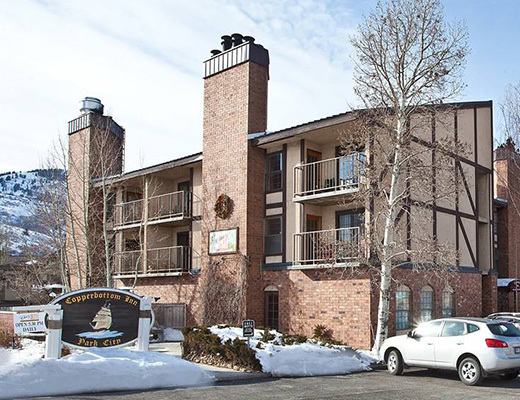 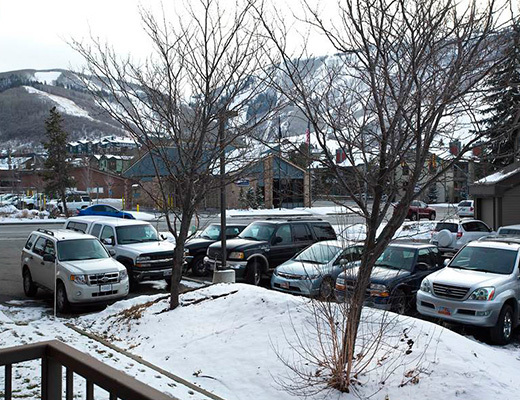 The Copperbottom Inn is conveniently located on the shuttle route and is just a mere three blocks from Park City Resort. 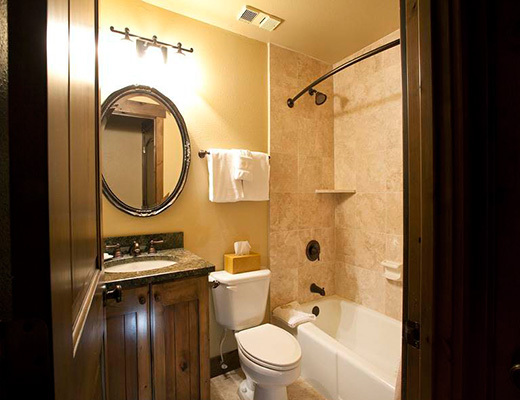 Guests will be pleased to find an onsite common dry sauna and an award-winning fine dining restaurant. 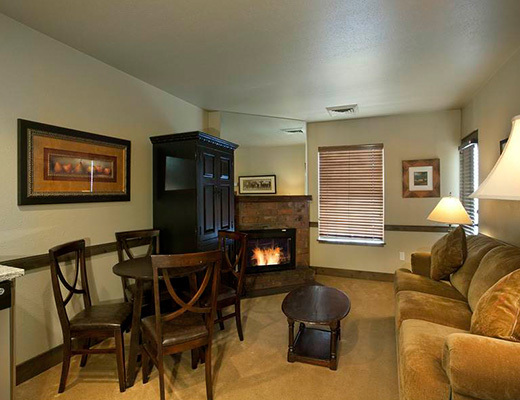 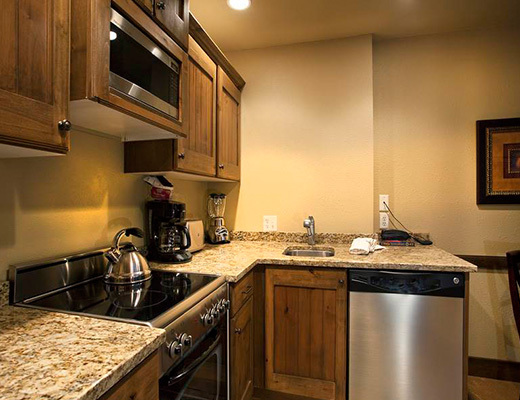 With shaker style cabinets, upgraded stainless steel appliances, a cozy brick fireplace, a beautifully tiled bathroom and granite countertops, this charming one bedroom gold-rated condo offers fantastic accommodations for your next ski vacation. 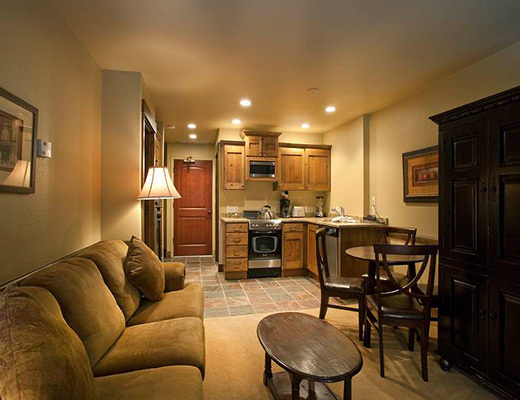 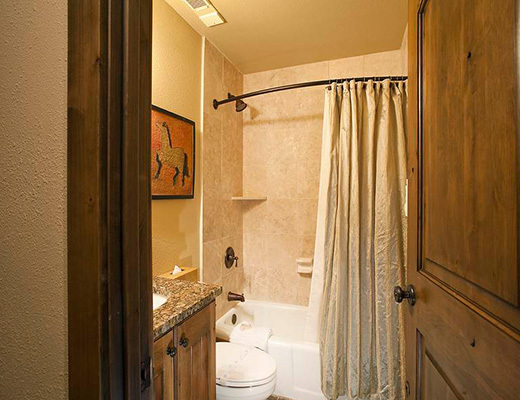 Comfortable furnishings and relaxed dÃ©cor completes the feel of this stylish little hideaway. 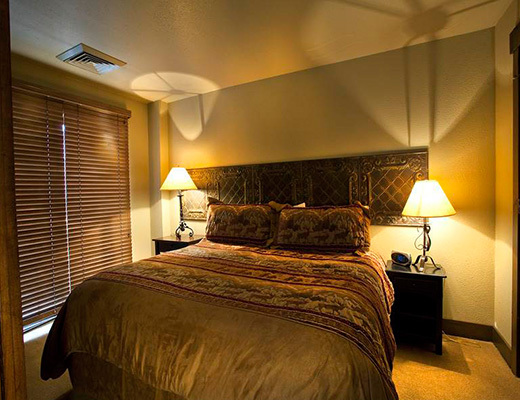 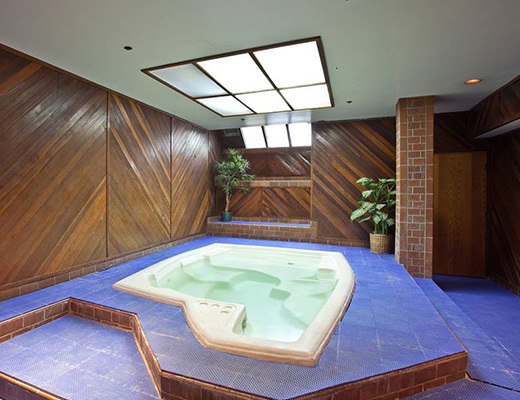 With lodging for two, this is an ideal romantic retreat.